Many times on my blog and podcast I’ve encouraged everyone to make sure they have a backup of anything important on their computer. For most people, the big reason for having a backup is to make sure you don’t lose anything important, like documents and pictures, if your hard drive fails. But there’s another really important reason! Of course you don’t want to lose all your important pictures, and your Outlook emails, and your whole Documents folder, and your music collection or anything else. It’s a sick feeling when you DO lose all of that, and it’s also an amazing feeling when your drive crashes but you know that you WON’T lose anything – and I can tell you I’ve experienced both of those situations personally. I don’t really save anything on my computer that’s actually critical. I do depend on my laptop because I use it every day for work, and it has programs on it that I use all the time, but I don’t save things like pictures or documents on there. Do I really need to do a backup? And the answer to that is a definite YES. You still need a backup. To understand why you still need to do a backup, let’s look at it kind of in reverse. Let’s say you don’t have anything important stored on your computer, but your hard drive fails so the computer won’t boot up. In other words, it’s like starting with a new, blank computer. Doing all of this can take hours (I know, because I do all of these things and more, each time I set up a new computer). And with that, everything is back to the way it was – your software, your files, your desktop icons, EVERYTHING. It’s as if nothing happened. And that means your computer is back up and usable within an hour or two. So even if you don’t store any important pictures or documents on your computer, the question is – when your computer goes down and needs a new hard drive, how fast do you want it to be back up so you can use it again? A local backup is what enables that. And by “local” I mean a full system image backup to a portable USB drive that sits next to your computer. 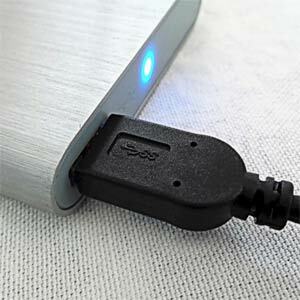 Once the software is set up, all you have to do is plug in that drive at night and unplug it in the morning. And I have to put out this warning: when you buy a portable drive such as this one (affiliate link), it will come with it’s own backup software. I don’t recommend using that software. The software I use is Macrium Reflect, and it’s free for personal use, and I’m very familiar with how it works. I can set it up for you remotely, so you don’t even have to bring your computer anywhere. True, to the above, but it seems like you are talking about backing up data. Don’t you want to actually mirror your system, where the operating system, and installed programs are there too? Larry – no, the local backup I’m talking about is a full system image backup that includes all data and programs. That’s the point – that you need that kind of backup in order to be back up and running as quickly as possible. what is the cost for you to do the backup. I keep forgetting to plug in , and do the backup. Marge – all I can do is set it up to happen on schedule. All you have to do is plug in the portable drive at night so that it can happen overnight, then unplug it in the morning. I can’t do that part since I don’t have physical access to the portable drive. Open Macrium Reflect and click on the tab that says “Scheduled Backups”. It will list the schedule there. I used the free edition of Macrium Reflect to do an image backup. However, when I try to schedule backup I am told I need the Premium Edition to do backups. Is that correct? Prior to this I have been using Windows Backup to back up my new files. I set up image backups all the time for clients with the free edition. I found the tab to schedule backup of the Definition File.